Contact us to sign up or to be added to our mailing list for announcements. It has been a snowy winter and we are looking forward to a beautiful wildflower season. We are also getting ready for visitors to return to the area in great numbers. That is why we have been doing whatever trail work is possible in between the snow storms. Trail Mix did a great project in the canyon during Public Lands Day back in September. I am currently working with a Trail Mix trail worker on maintenance and restorations. Having highly experienced trail workers is fantastic, and I am grateful for some grant money I receive for this purpose. But we would love to have some volunteer days this spring. We need to pull some weeds, and trim brush along the main trail. Let us know what days work for you! We will make it work. We have been working, in a large group with many others, with Betsy Burne from the Rivers, Trails, and Conservation Assistance Program. BLM, SITLA, County and City agencies, nonprofits, and a variety of others are working toward finding long term solutions to the impacts of increased visitation to Mill Creek, including the issue with cars parking illegally and others traffic issues. We are hoping to get some short-term measures in place before the peak of the spring season, but the recent government shutdown caused some delays. There are a few bad actors who visit the canyon and delight in destroying beaver dams, moving brush we have placed to protect off trail areas into the middle of the trail and more. Please! If you see someone doing that, and can safely take a photo without them seeing you, that would be great. If you could let us know of anything that needs to be redone, let me know. 435-401-4685. THANKS! was removed from the beach area near the parking area. 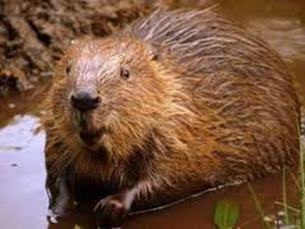 What's the deal with beavers? ​Some people get concerned when they see beaver-downed trees. Tell them not to worry! Beavers are so vitally important to a healthy environment that they are being reintroduced in suitable areas as a way to heal the planet from climate change. We cage front county cottonwoods and let the beavers work their magic elsewhere. Check out this great article by Mary O'Brien for more information about our best friends. 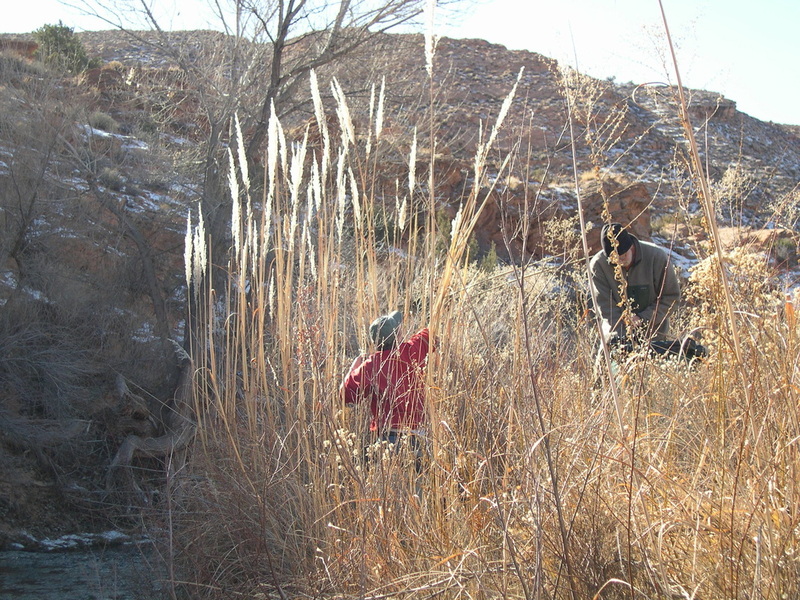 (Saccharum ravennae) is a tall, dramatic bunchgrass that was introduced from Eurasia and threatens wetlands and riparian corridors in the desert southwest. This plant is highly invasive and competitive; it produces hundreds of thousands of seeds that are wind and water dispersed and germinate quickly and easily in a variety of soil and canopy conditions.